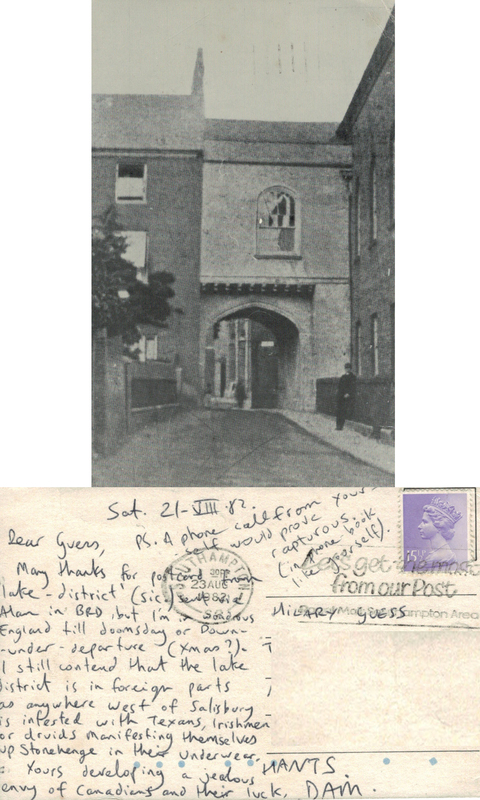 Postmarked ‘SOUTHAMPTON 24th May 1982’ this card features a completely fictional narrative based on the Falklands Conflict which was taking place at the time. 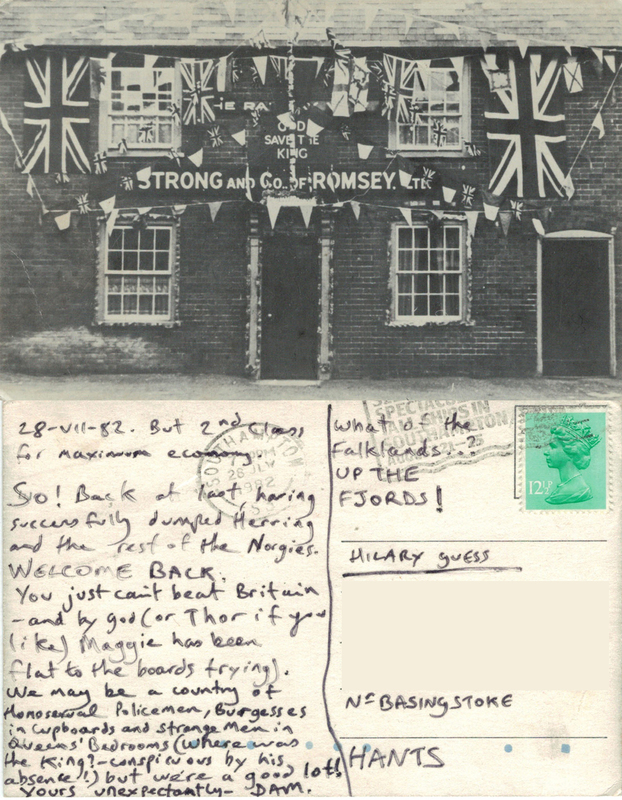 The card was sent to me in Norway where I did not get to hear much British news; this message probably did little to further my understanding of the events taking place in the South Atlantic. Another of DAM‘s black and white cards featuring Romsey and the surrounding area, together with more of his imaginative reflections. I received many of these random notes from him during this period and they still make me smile, although I have no idea why he often addressed me by my surname!